I have very fond memories of Altea. It’s a pretty artist’s town on a turquoise sea between Benidorm and Calpe. I had a girlfriend there when I was about 20. Her mother was a painter, and took me to a wonderful restaurant called Pepe’s in an old building by the sea where we ate charcoal grilled mackerel with chilled red wine. 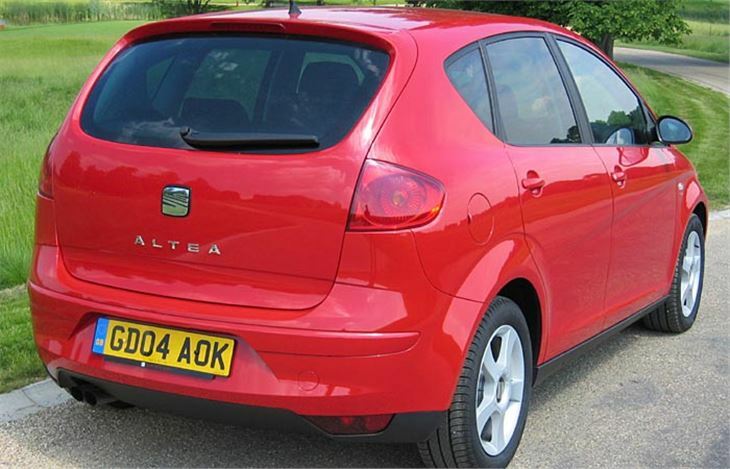 But instead of launching the Altea in Altea, SEAT chose Watford. Why? Well it just so happens that The Grove hotel in Watford’s green belt is probably the finest art hotel in Britain if not the finest hotel full stop. Everything, from the wall of keys behind reception to the Perspex case of butterflies in my room, is an accessible kind of art that delights even sceptics like me. And the sun shone almost as intensely as it does on the Costa Blanca. So the scene was certainly set to launch a car SEAT wants us to appreciate for its style and form. But first I had a good look over the car. It’s certainly different, designed by the same Walter d’Silva, who created the timeless beauty of the Alfa 156. The sculpted oriental headlights are very nice. There’s a look to the car unlike anything else in the VAG stable, or anything else for that matter. 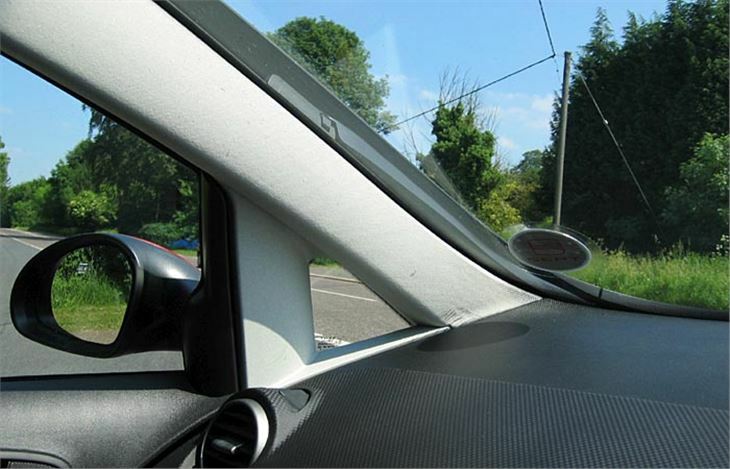 Clever touches abound, like clap-hands wipers which park themselves vertically, tucked inside the A pillars, ensuring the sides of the screen are properly wiped and a completely uncluttered forward view. Like the Grove hotel, the art of the Altea is readily appreciated. 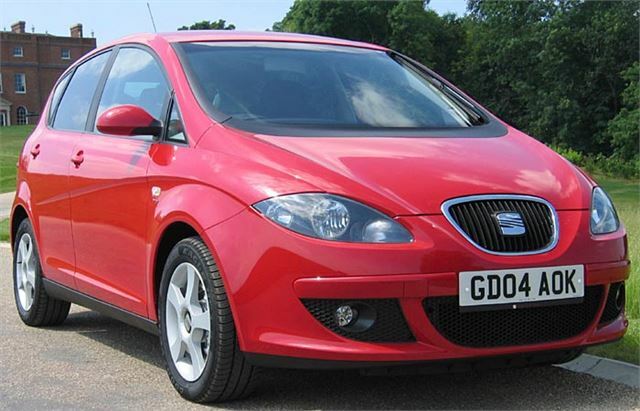 The body is upright rather than low like a SEAT Leon. 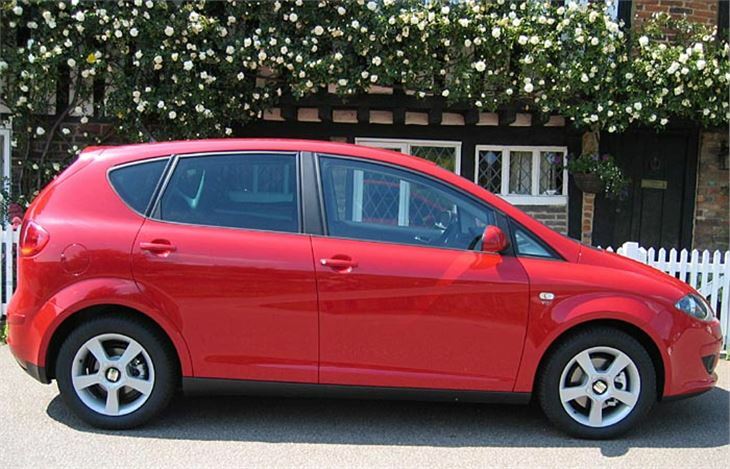 So it’s a sort of hatchback/MPV cross, in the manner of a Ford C-Max. 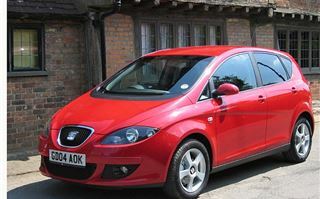 SEAT optimistically call it a ‘Multi Sports Vehicle’, trying to create a niche within a niche. There’s bags of room for bags. 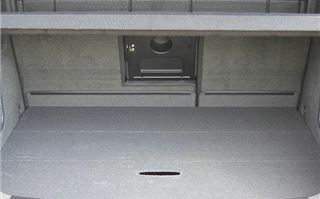 Storage areas above and below the luggage compartment. Places to put things in the sides of the seats. 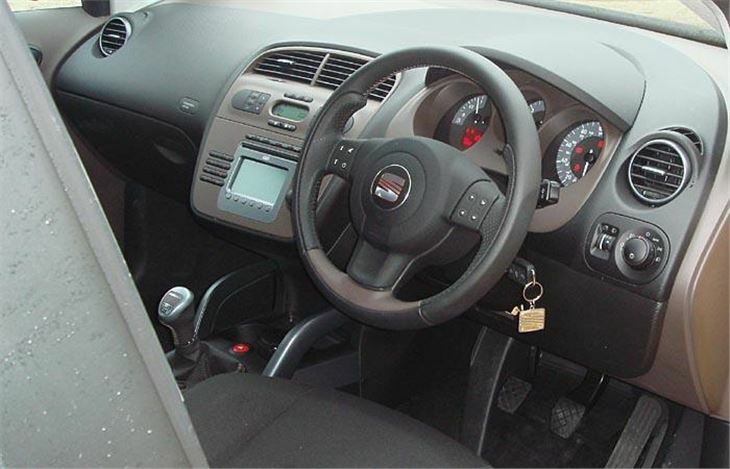 But no multitude of lidded cubbyholes as in the Renault Scenic. 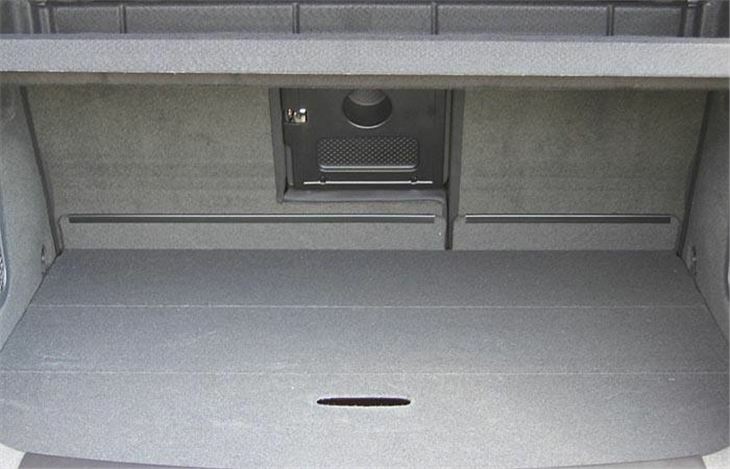 The 60/40 split rear seats slide and fold giving a high but fairly flat luggage area. There is chef’s hat headroom. 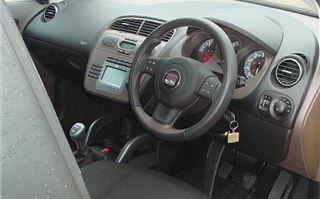 Engines in the cars on test were VAG’s 140PS 2.0 16v TDI coupled to a six-speed box, VAG’s 105PS 1.9 TDI with a five-speed box, and VAG’s 102PS 1.6 16v petrol also with five-speeds to help it along. MPH per 1,000 rpm in top corresponded to roughly 32.5, 30 and 20 respectively. First, the 140PS TDI Sport, which came with body-hugging seats you have to get into rather than slide onto and, while these hold you in place very well, they mitigate against one advantage of tall cars which is ease of entry and exit for the elderly. 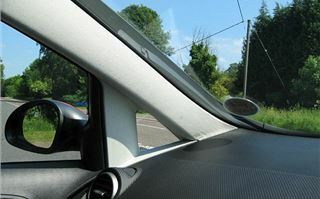 You have an excellent view forwards but, like the VW Touran, two severe blind spots at the base of the front screen pillars. 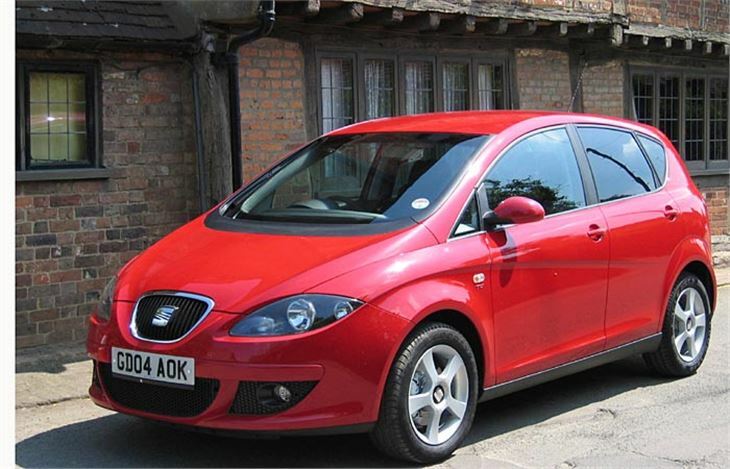 SEAT has tried to reduce these by fitting fairly small elliptical door mirrors, however you have to do a double-take to be sure when emerging from side roads. Unlike the progressive feel of the 2.0 TDI and 6-speeder in the A3 and Golf V, this one tends to lunge in second. And it’s all too easy to clumsily bang in the clutch at the peak of the all or nothing torque curve leaving rubber all over the road when pulling into a traffic stream. But it certainly picks up speed very rapidly and is never embarrassed by lack of power. To keep the show on the road, SEAT has fitted fairly stiff suspension and the downside is ride quality which I’d be generous to describe as “below average”. It doesn’t jar sharply, but you feel you’re being bounced up and down like a basketball. It hangs on well through corners for a tall car though the rubbery way it does this is neither precise nor pleasant. It does the job, yet isn’t inspiring like a Leon 20VT. 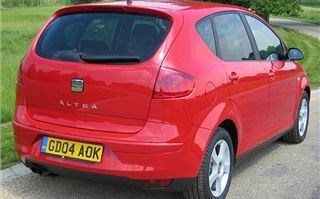 Probably better to save between £1,650 and £2,700 by going for the more basic 1.9 TDI 105 Reference model. You don’t get alloy wheels or wraparound seats, or six speeds or 35 extra PS. But you do get flatter, more accessible chairs and a slightly softer ride without sacrificing too much performance punch or handling. So you can still find yourself scuttling round bends far more quickly than you’re used to from the height you are sitting. Lastly, the least expensive Altea: the 1.6 102PS petrol powered Reference model. This is much smoother and more linear to drive than the diesels without any sudden peaks to its power. But it’s so low geared that to make the same sort of progress you have to rev the nuts off the thing. Buy an Altea and you will certainly be making a style statement. It’s reasonably practical, too. 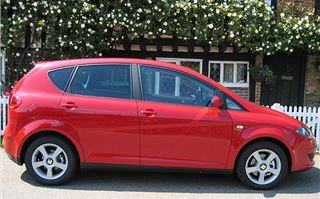 But it doesn’t do anything that the Ford Focus C-Max doesn’t do considerably better. And, sorry SEAT, I have to say I don’t expect its list prices to hold up for long. After all, with Citroen Picasso 1.6s starting at well under £10,000 in the real world, and Focus C-Max 1.6s at under £11,000, you’d need a lot of spare cash to fork out a mimimum £12,800 for the sake of driving a work of art.